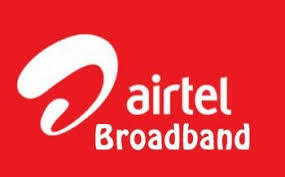 Telecom Giant Airtel has announced its 300Mbps broadband plan that comes with a monthly rental of Rs. 2,199. This broadband plan is for the subscribers on the FTTH (Fiber-To-the-Home) service. 1200GB of ultra-high-speed data along with unlimited STD/ local calling benefits. Subscribers who opt for 300Mbps broadband plan also gets offers like free subscription to Airtel's OTT apps - Wynk Music and Airtel TV, alongside Amazon Prime subscription, which Airtel is offering to other subscribers as well. Aitel is also offering Data Rollover benefits, Airtel Surprise, and myHome Rewards. Along with above mentioned offers, Airtel is also offering bonus data of 1TB that is valid until October 31 and is applicable only through the online purchase of the plan. George Mathen, CEO - Homes, Bharti Airtel has released a statement as " Following the resounding success of our V-Fiber home broadband offering, we are delighted to introduce the new FTTH based plans for customers looking for higher speeds. Fixed broadband continues to be the preferred in-home mode for customers to consume online digital content and the average usage per home is growing at a breakneck speed. With this in mind, we will plan to expand our FTTH offerings over the coming days and provide our customers the choice of home broadband plans across a wide range of price points and speeds"